A younger contemporary of J.S. Bach, Giuseppe Sammartini is generally recognized as one of the most significant composers of concertos and sonatas during his time. 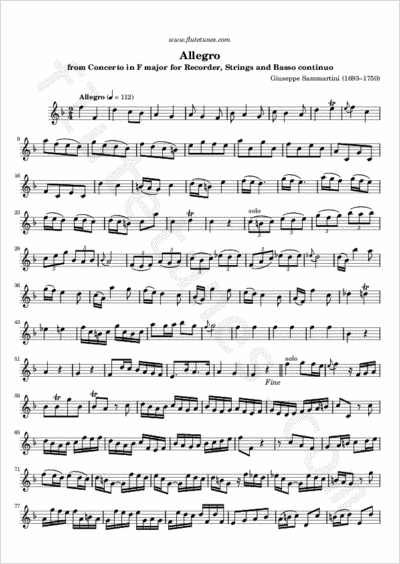 An oboist, it is likely that he played the flute and recorder as well: indeed, among his vast instrumental output, there are 24 sonatas for flute and bass, and 30 trios involving the flute. The piece we present today is the first movement of his best-known composition, the Concerto in F major for recorder. Many thanks to José for contributing this piece!